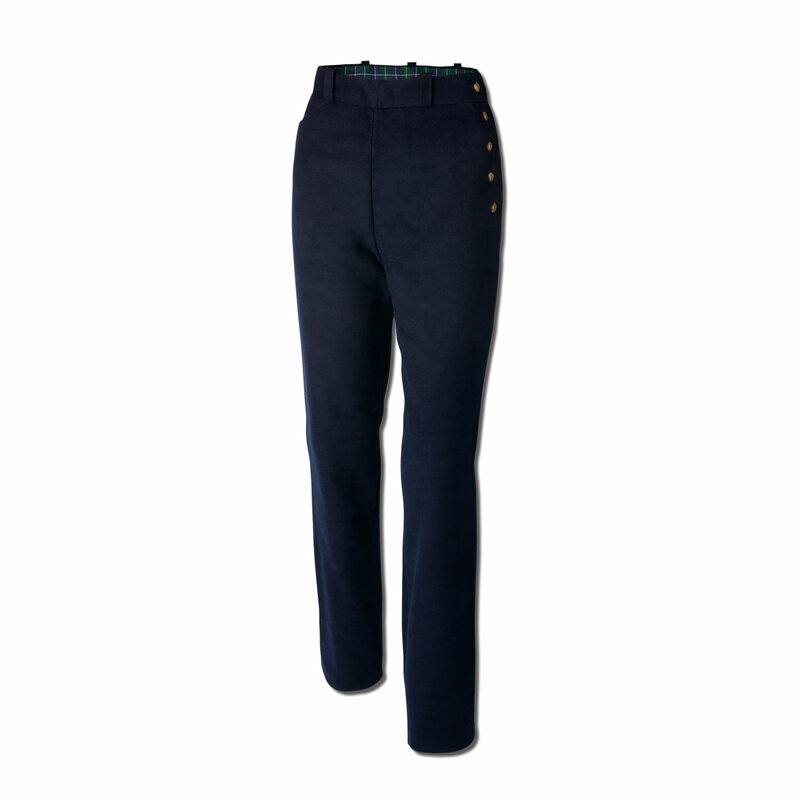 Side button jean, our most popular ladies moleskin trouser and unique to The Mole Hole. Using traditional heavy weight moleskin cloth, these trousers fasten on the left hip with five strong, hand-sewn buttons. 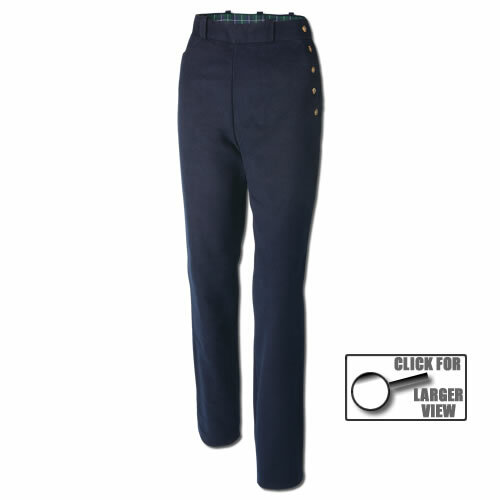 This gives a very feminine, flattering line with a classic on the waist fit to these versatile, straight legged trousers. One scoop pocket on the front right and one on the back right. As all of our Mole Hole moleskin trousers are made to order we offer a 'TRY BEFORE YOU BUY SERVICE' service for £ 5.00. Please go to the order page to complete your details - we will call you back to confirm your measurements and take payment for your order. We welcome your phone call or email should you have any questions.